If you grow corn in your garden, you may have more than you can eat. Rather than let it go to waste, try freezing it! 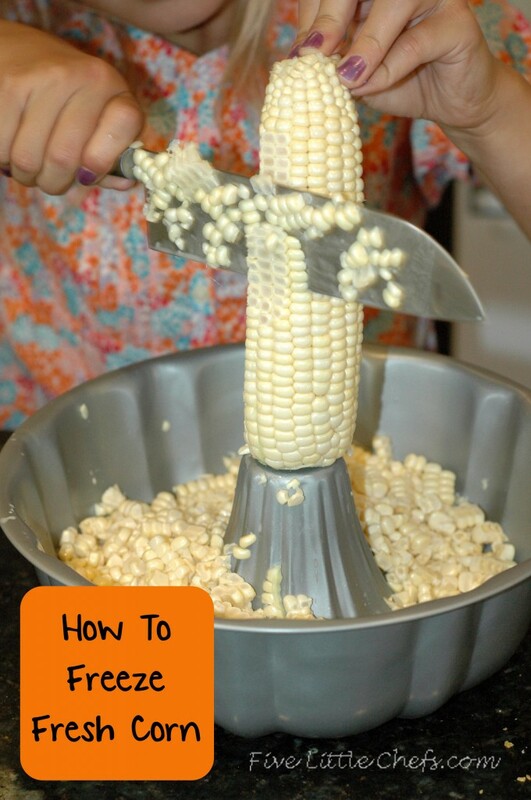 Here is a simple method for freezing corn that I found on the blogsite: www.fivelittlechefs.com. Combine the butter, water, sugar and salt in a large sauce pan on the stove. Bring to a boil. Add the corn kernels and cook for about 5 minutes. Drain corn and place on a cookie sheet to cool. Place the cooled corn into freezer bags. Enjoy another day!